In case you haven't been paying attention, this year marks the 30th anniversary of Ghostbusters. There'a a LEGO set version of the Ecto-1 and a limited edition vinyl of Ray Parker Jr.'s iconic theme arriving on Record Store Day. Now Gallery 1988 is getting in on the anniversary tributes with their own art show. The traveling exhibition will hit New York, Los Angeles and Chicago before wrapping things up at Comic-Con in San Diego this summer. We've posted the dates and location for the first two shows in NY and LA below, but more importantly you'll want to see the first two awesome pieces from the show to get you excited. Look! 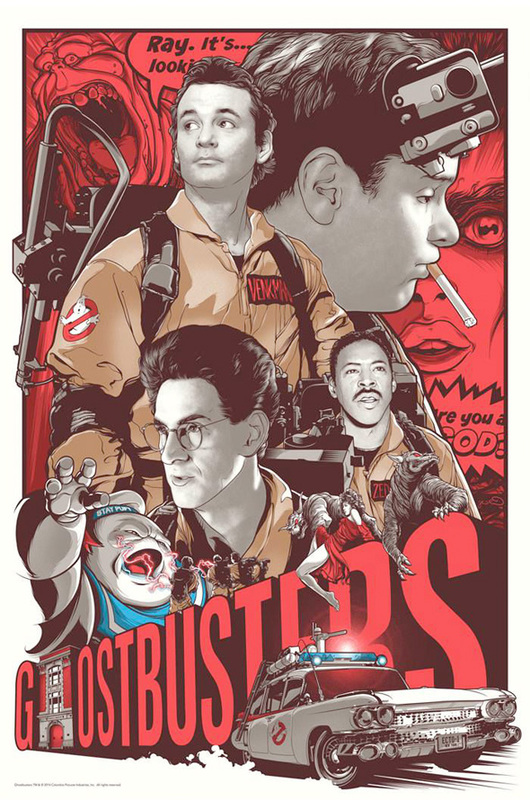 Gallery 1988's Ghostbusters 30th show will hot New York from April 19th-26th at 69 Leonard Street (between Church & Broadway) with an opening reception on April 19th (that's also Record Store Day) from 7pm to 10pm. A month later at Gallery 1988 (West), 7308 Melrose Avenue the show hits Los Angeles from May 17th-June 1st with the opening reception on May 17th from 7pm to 10pm. From there the show will hit Chicago from June 20th-22nd (location TBA) and then the San Diego Comic-Con from July 23rd-27th. 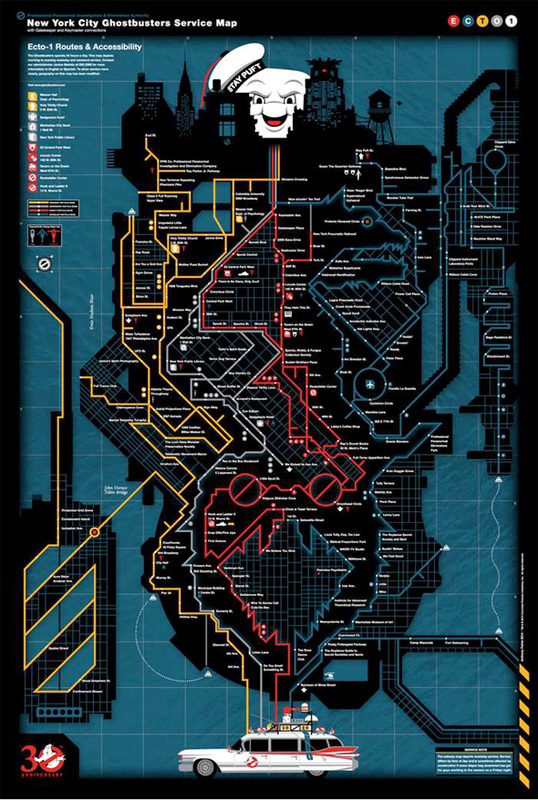 Some of these limited edition screen prints (which will hopefully be revealed as the show travels) will be pricey, but if you check out the exhibition at these locations, there will be more original artwork and official apparel on sale too, so Ghostbusters fans will definitely want to attend. Cool artwork? Nice! I am really glad it's not more of all the "minimalist" crap! Does anyone know the show hours?